American Hakko announced yesterday the discontinuation of their 903 Series tips. The 903 tips will be replaced by the newer T15 and T22 Series composite tips. 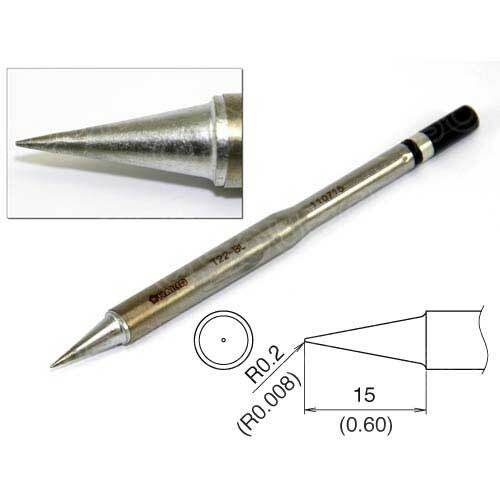 The 903 Series soldering tips were used with the previously discontinued 929 and 939 soldering stations. The full range of 903 tips (A1243 - A1250, A1252 - A1256, A1266, A1268 - A1271, A1326 - A1342, A1345 - A1348) are the subject of this discontinuation. 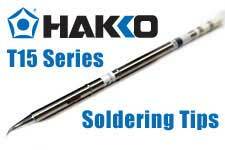 The new T15 Series composite tips are considered to be Hakko's standard for high-performance soldering. The T22 Series composite tips offer double the power for the most challenging soldering applications. These two new series of tips do not require the traditional offsetting that the 903 Series needed. The more powerful T22 Series tips can be used with the FM-2030 Heavy-Duty Soldering Iron (used with either the FM-203 Soldering Station or the FM-206 High Performance 3-Port Rework System) and the FM-2031 Heavy Duty Nitrogen Compatible Soldering Iron. To purchase the T15 and T22 Series tips, or hundreds of other Hakko items, please visit the Hakko Department at QSource.com. If you have further questions, or need additional information, please give us a call (800-966-6020) or send us an email and we'll have one of our helpful experts assist you. Please note: The Hakko 903 Series Tips will be available after May 31, 2012 until inventory is depleted.